Finding the Number of shapes in the given picture is one of my favourite puzzle types. In these type of puzzles many times I miss to count some shapes and ending up with the wrong answer. This riddle is an extension of Find the Number of Squares and Triangles in the given Pictures. Let us see how many you can count on? 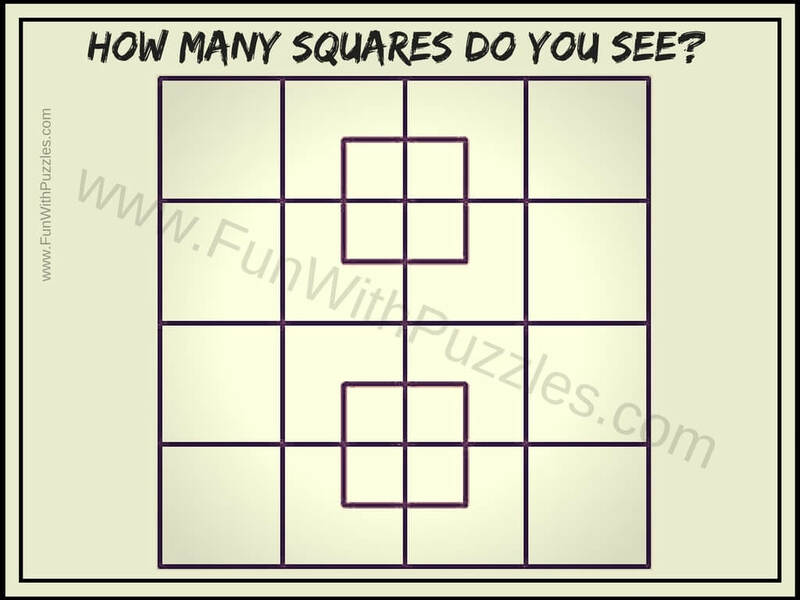 I have given the answer to this riddle at the end with the you-tube video which counts the number of squares in this picture one by one. 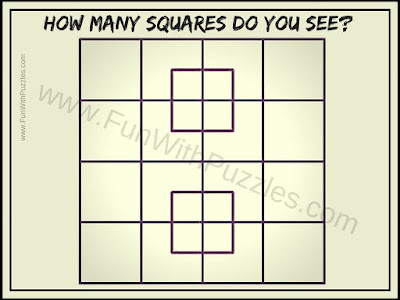 However before looking at the answer try to count the number of squares yourself and see if you can reach the correct answer!! Can you count the number of squares in this picture? 1. Find the Number of Squares and Triangles in the given Pictures: It contains many different Picture Puzzles in which your challenge is to find the number of Squares or Triangles in the given Picture Puzzle Images. 2. Finding Mistakes in Images Puzzles: How good is your visual and observational skills. Test your observational skills by finding the mistakes in the given picture puzzles. 3. Crack the Lock Code Puzzles: It contains very interesting Logical Puzzles in which your challenge is to crack the code to open the lock. 4. Test your Brain: After solving all these Picture Puzzles and Logical Brain Teasers, its now time to test your brain with this brain wiring test.